I don’t have children in school anymore, but I have grandchildren in school. Occasionally I help them with their homework. I love math. I was on my high school math team (how nerdy is that?). 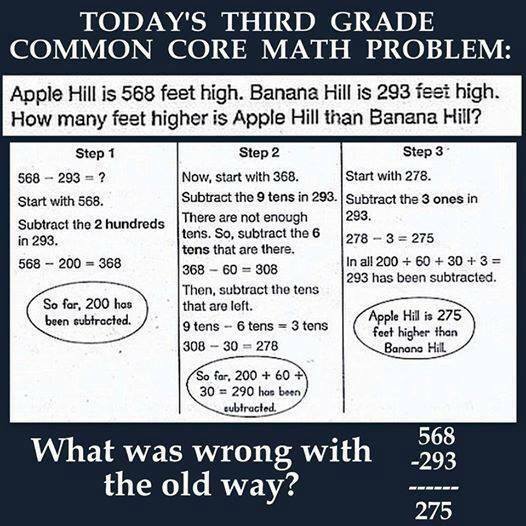 But what is being done to students today in the name of math is horrible. I agree. What was wrong with the old way? This entry was posted in Uncategorized and tagged Common Core, Education, Homework, mathematics by granny g. Bookmark the permalink.